Rentz Trailers is proud to be a dealer for several of the largest nationwide trailer manufacturers in the United States. Manufacturers like Look Trailers, Pace American, Forest River, Anderson MFG, Big Tex, Aluma, Continental and Master Tow. We are Central Florida’s largest Big Tex Trailers, Look Trailers , Pace American, Forest River, Aluma, Anderson and Master Tow dealer and authorized repair center . 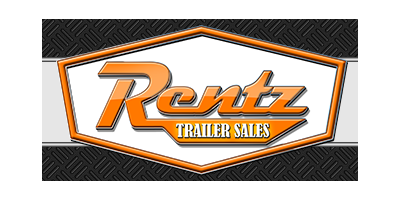 If you are looking for a quality trailer, look no further than Rentz Trailers. Rentz Trailer’s corporate headquarters is housed on five acres conveniently located right off US Highway 19 in Hudson, Florida. Hudson is located in Pasco County, Florida approximately 25 miles Northwest of Tampa. With over 35 years of experience in the trailer and towing business and the expansion into our two new completely implemented facilities, Rentz Trailers is able to supply quality services and products to our customers for all their trailer and towing needs from the individual to the huge conglomerate. Being a warehouse distributor for many national brands enables us to meet these needs as well as locate and secure items for customers to meet most deadlines. With our welding and fabrication capability, we are able to engineer the most feasible and economical solutions for your needs. We are able to provide service from the biggest to the smallest customer. We are able to handle anything that has to do with trailers or towing. We are the professionals in the area. Rentz Trailers is a “mom & pop” operation with an eye toward quality products, service and customer satisfaction. You get a true one on one experience with our staff whether it be via phone, internet, or walk in. For those customers outside the United States, we are also experienced trailer exporters. Our services extend to the Greater Tampa Bay area which includes but is not limited to: Hernando County, Hillsborough County, Pasco County and Pinellas County.